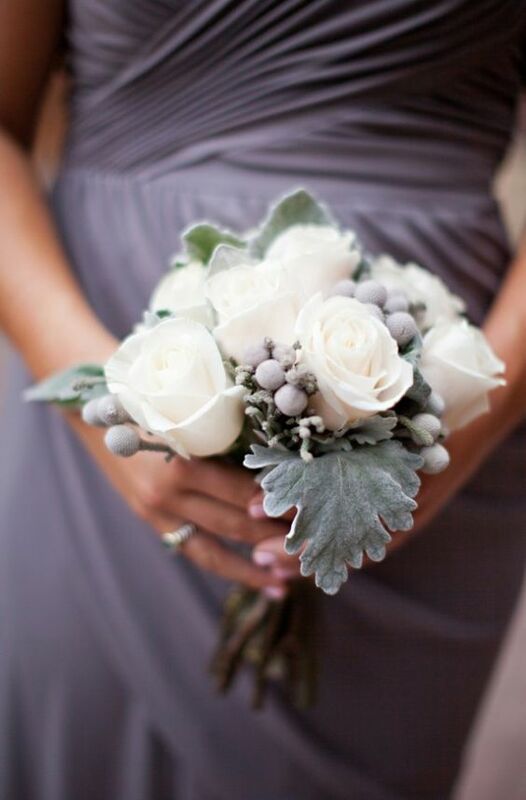 We're loving this small, winter-inspired look complete with frosty berries and dusty miller. 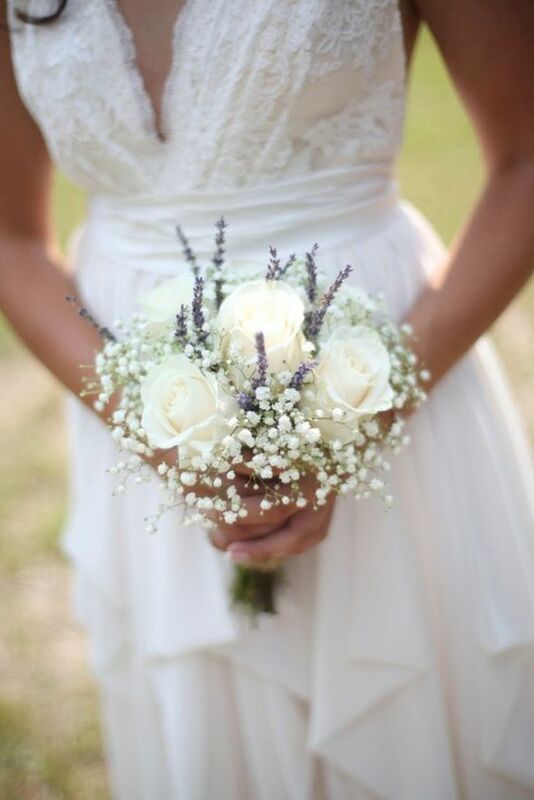 With a bit of baby's breath and lavender bits, your small, white roses will look lush and inviting. 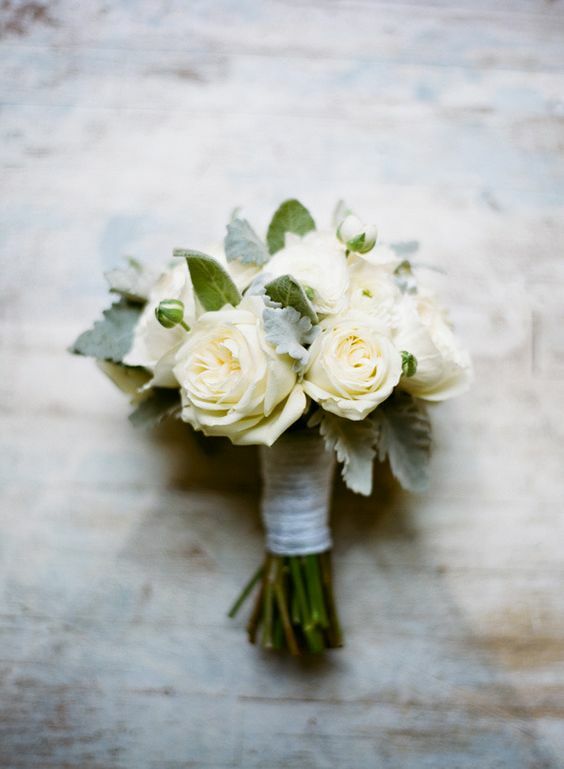 Or you can be simple and sweet carrying a single, long-stemmed rose of any color. 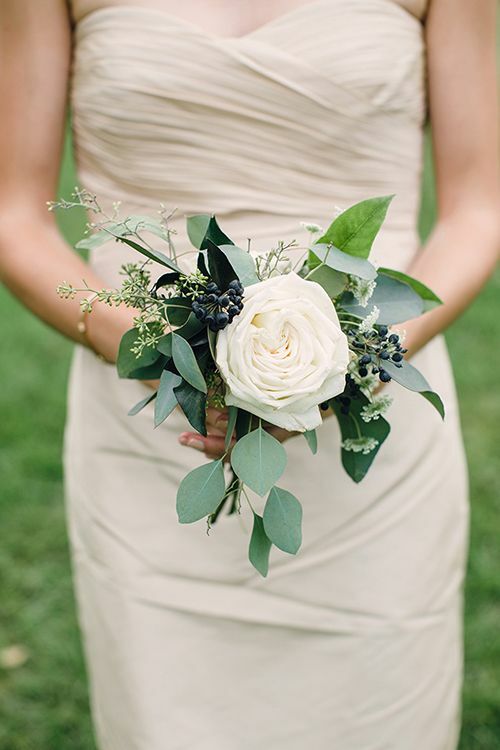 Some greenery will always do well with your rose selection, adding some whimsy and organic beauty. 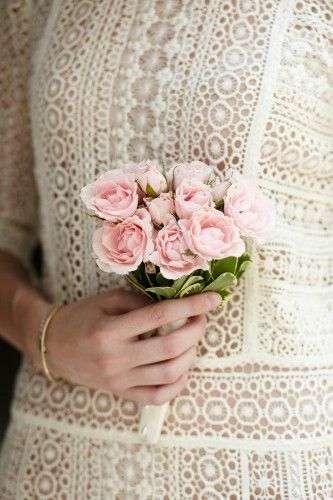 Of course if you want a smaller design but one with texture, think about adding falling bits. 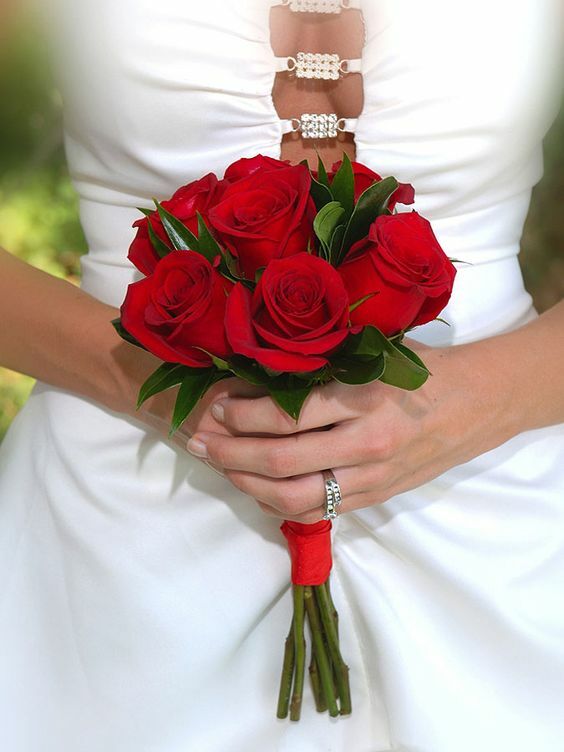 Classic red can brighten up the day and ignite the passion of the celebration. 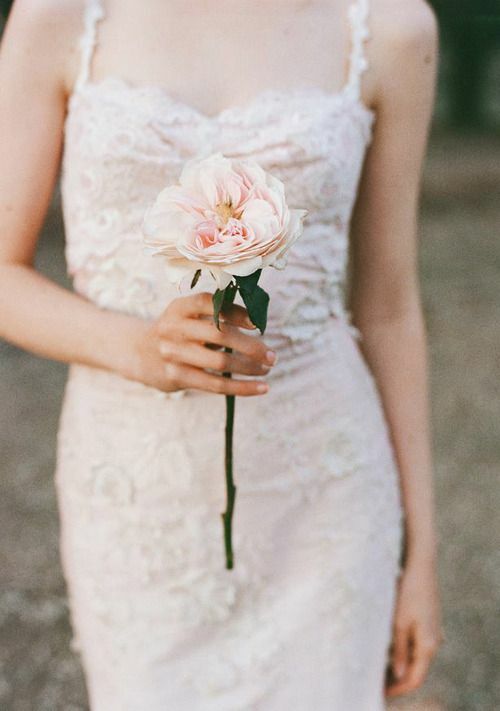 Here's another way to carry a single rose, with a bit of fun textures surrounding it and making it pop! 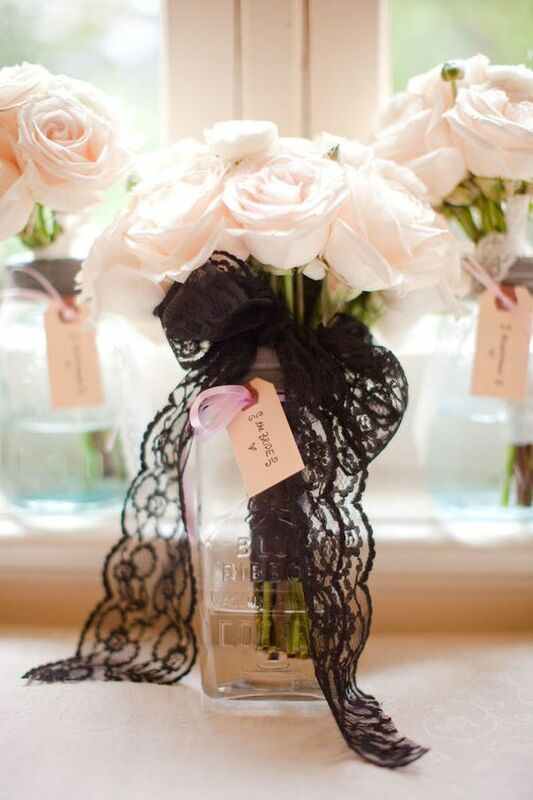 Transform the entire design with a bit of black lace, just look how unique and different the bouquet looks! 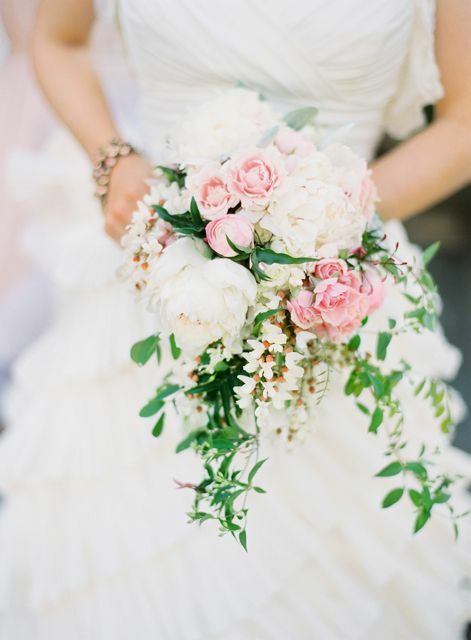 Small, blush spray roses add a classic, bridal-inspired touch to your overall day as well. 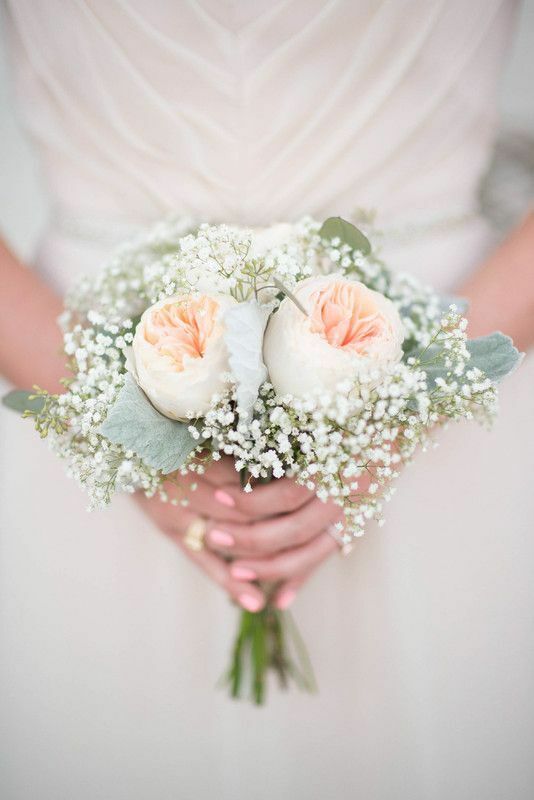 And finally, peach garden roses can top off your spring or summer vow renewal or second wedding with the right amount of romance.